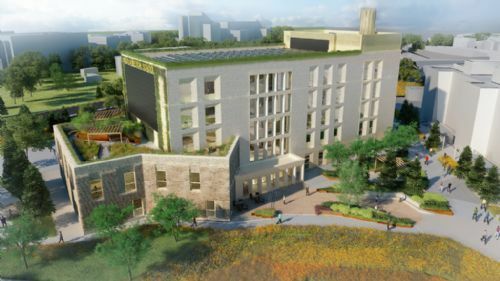 Scheduled for completion in spring 2021, the building has been designed to meet the BREEAM Excellent environmental standard and features photovoltaic panels generating electricity for its laboratories, as part of the aspiration to be a carbon neutral scheme. This new facility will be the most sustainable on the campus. University of Lincoln Vice Chancellor Mary Stuart said: “This is an exciting step forward for everyone with an interest in this project to produce future generations of healthcare professionals. It represents more than just a building – it is a commitment to current and future communities in Lincolnshire to develop sustainable healthcare for the region.